The last outdoor session of the summer was held on Friday night and indoor training begins on Friday 14 September (7PM for juniors and 8PM for adults). As the sun set, eight players enjoyed the last chance to play outside. It is almost the start of the 2017-18 season. Training will begin again on Friday 1 September at the leisure centre (juniors from 7PM and adults from 8PM). Fixtures for the season have now been published but the Wiltshire pre-season tournament will be on Saturday 16 September at the Christie Miller Sports Centre in Melksham. The forecast is reasonable so I will set up the net at the Recreation Ground on Friday evening. I will run a junior session from 18:45 to 19:30 and then there will be a game open to everyone. As usual we would appreciate a £1 donation. There will be no junior training at the leisure centre on Friday 16 June as the weather forecast is good. Instead the training will take place on the Recreation Ground at Anchor Road from 18:45 to 19:30. It will be followed by a fun game to which adults are invited as well. As in previous summers we suggest a donation of £1 that will be used to buy new balls. There will be a combined junior and adults training session on Friday (12 February) starting at 7PM and finishing approximately half past eight followed by a shortened adults session. 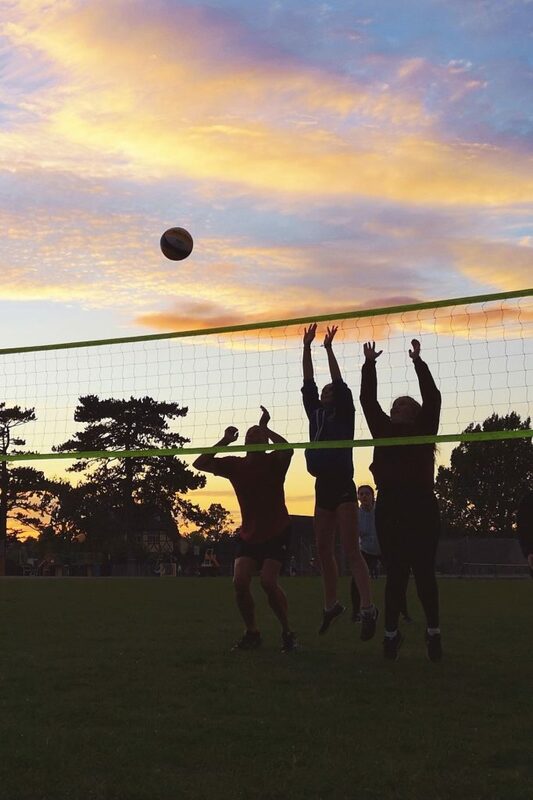 We are planning a session that will include playing mini-volleyball (the format played at junior level) as this is something the adults do not normally see and there are a couple of junior teams playing that format in a grand-prix the following day in Plymouth. There is no junior training on 24 October or 31 October as it is school holidays.